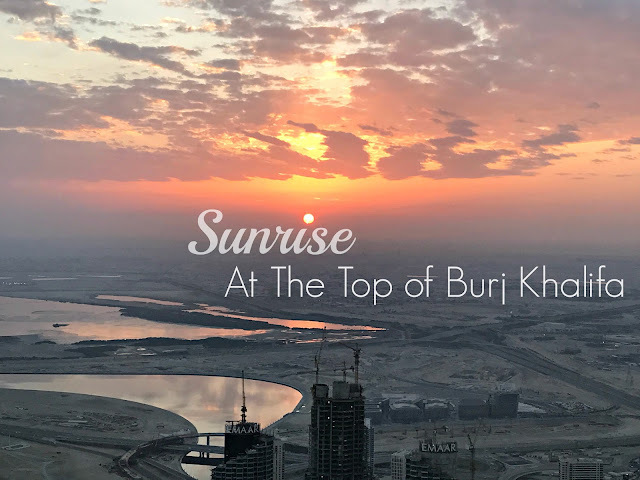 When I am in the Philippines, I like to immerse myself into lots and lots of greenery and nature tripping for I know that when I'm back to Dubai, I will miss it so much. 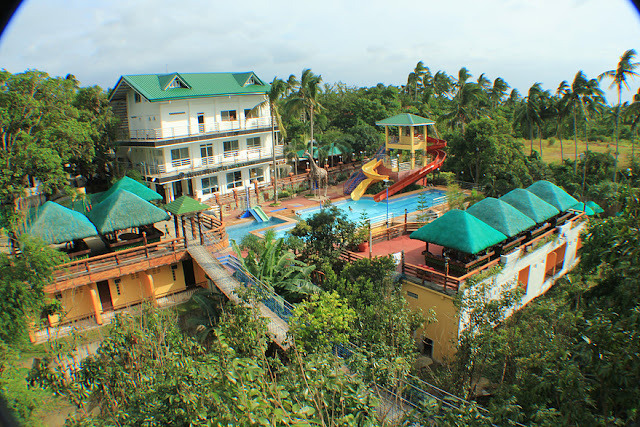 When we were looking for a place to treat the family during our last vacation in the Philippines, we found a beautiful mountain resort located in Cuenca, Batangas, the province where my husband Ferald grew up. 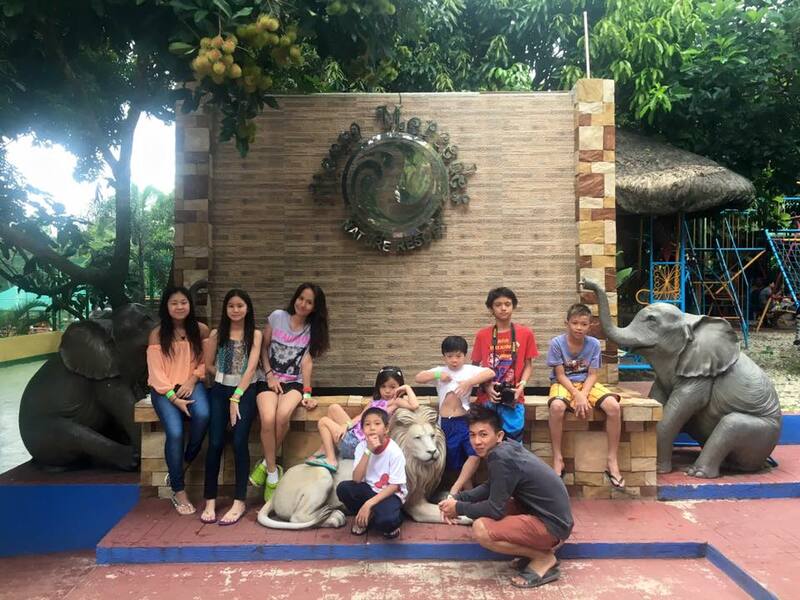 We found Tierra Mercedes Nature Resort. It is a beautiful property by Mt. Maculot trail and it has 7,000 sq. m. of resort space. We left Laguna early to be at Cuenca Batangas by 9:00 in the morning. We wanted to maximize our time to enjoy the facilities and to do as many activities as we can. Before heading to the resort, we stopped by the local market of Cuenca to buy some fresh seafood. There are grilling facilities at the resort so we were able to cook the things we bought from the market.The resort has its own restaurant but they allow guests to bring in cooked meals. We brought with us some of our favorite Filipino dishes like chicken adobo, longanisa, and salted egg mixed with tomatoes. We grilled some aubergines, milkfish stuffed with onions and tomatoes, tiger prawns and pork marinated in barbecue sauce. All this for our boodle fight style lunch later that day. Our first flying experience with our national carrier Philippine Airlines was our flight from Dubai to Manila last July of this year. It was a good flying experience for us with just a few reservations. If you will ask me would I book with Philippine Airlines again? Yes, I would. Flight PR 659 Manila bound uses Airbus A330-300 if I'm not mistaken and it is quite a big airplane, however full with passengers, it was a quiet flight for us. Few days before our flight, the kids were dreading the nine-hour flight (we don't fly often) and the nonexisting in-flight entertainment of Philippine Airlines or so we thought. I planned on bringing some activity materials for the kids but I was too overwhelmed by the things I needed to complete at work before our vacation plus just thinking about packing for a month-long trip was exhausting. I didn't have time to work on that plan so I just relied on the available games on the iPad hoping it would entertain them. I chose a night flight so we can all just go to sleep after we ate our food and when we wake up, we will all be in the Philippines. There's a new aqua-park exclusively built for kids in Jumeirah here in Dubai and we had the chance to visit it a couple of weekends ago. 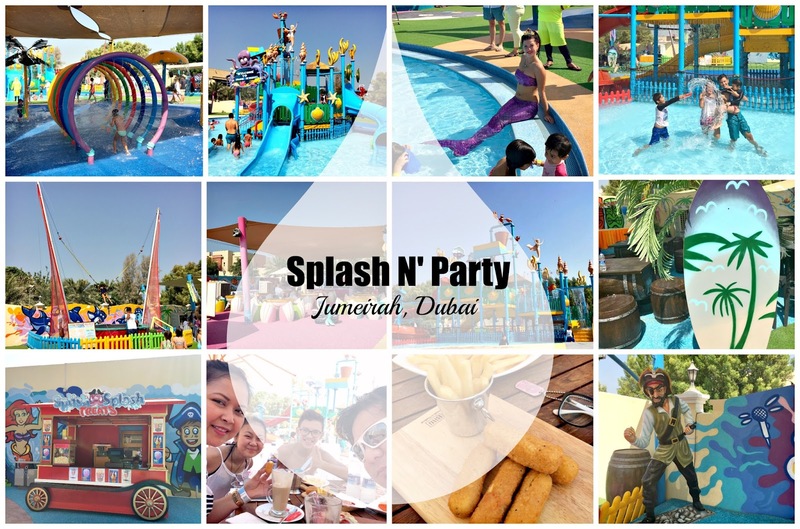 Splash N' Party is an amazing place and we all had a wonderful Friday morning spent with them. It's a one-villa compound developed to a unique recreational playground, aquatic park and a party venue in one. Splash N' Party is an ideal place for the whole family. A safe and great place for our little ones to have a splash to their heart's content. Legoland Dubai is due to open on October 31st, 2016. That's by the end of this month or just after 10 days! We are all excited to see Legoland rise up from the sands of Dubai and I'm sure all the kids can't wait. Every day my son would tell me about Legoland. My kids lighted up when I told them we are going to Legoland Dubai. While it is not open to the public yet, we were invited to a sneak preview of the Lego Movie 4D The New Adventure and this 4D movie is exclusively shown at Legoland properties worldwide. The movie is 3D combined with the physical effect that occurs in the studio such as rain, the wind, snow, strobe lights, and vibration effects making the experience unforgettable. Arriving at Legoland Dubai, the children had a meet and greet with Emmet and Wyldstyle, the main characters in the Lego Movie. John - Legoland Operations Manager welcomed us all before the movie starts. Yup, that's right, LEGOLAND® Dubai’s ‘First to Play’ Annual Pass families are basically the very first guest of Legoland Dubai. "LEGOLAND® Dubai is the ultimate world of year-round LEGO® theme park adventures for families with children aged 2-12. It will feature over 40 interactive rides, shows and attractions and 15,000 LEGO® model structures made from over 60 million LEGO® bricks. LEGOLAND® Dubai will feature six themed lands - LEGO® CITY, ADVENTURE, KINGDOMS, IMAGINATION, FACTORY and MINILAND - each unique in their design, entertainment and playful learning experience. Located adjacent to LEGOLAND® Dubai, LEGOLAND® Water Park is the only water park in the region designed specifically for kids aged 2-12 and their families. It will include over 20 water slides and attractions. Opening in October 2016, LEGOLAND® Dubai and LEGOLAND® Water Park are located at Dubai Parks & Resorts." Chinese n top of the game but of course second to our own Pinoy food. We Filipinos love two things, good food and music, singing in Karaoke in particular. Combine them and we are happy souls. Red Dragon Restaurant is a Pan-Asian Restaurant located at Howard Johson hotel in Bur Dubai that offers Karaoke Nights. It's simple. Dine. Eat. Drink and Sing. Yes, they serve alcoholic beverages. "Mommy I want to become a YouTuber." Prince once told me. "A YouTuber is a user of video sharing site YouTube. Someone who makes and appears in videos on the site." as defined by Urban Dictionary. Prince is a fan of some YouTube sensations like DanTDM, FGTeeV, Stampy, iBallisticSquid...etc. Most of which are gaming and toy review channels. I cannot deny the fact that Prince got his English speaking skills and accent mostly from these channels that he watches every day including Peppa Pig. He thinks and sees that becoming a famous YouTuber will give him better life opportunities at his age like receiving lots of toys to unbox and review, free trips and hotel stay to Spiderman City as he calls it (aka NYC) for meet ups. He knows he will earn a good sum of money out of his YouTube videos. We've been making videos of him demonstrating how to transform his Power Rangers Dino Charger toys and Optimus Prime Robot before but we never posted it on my YouTube channel. 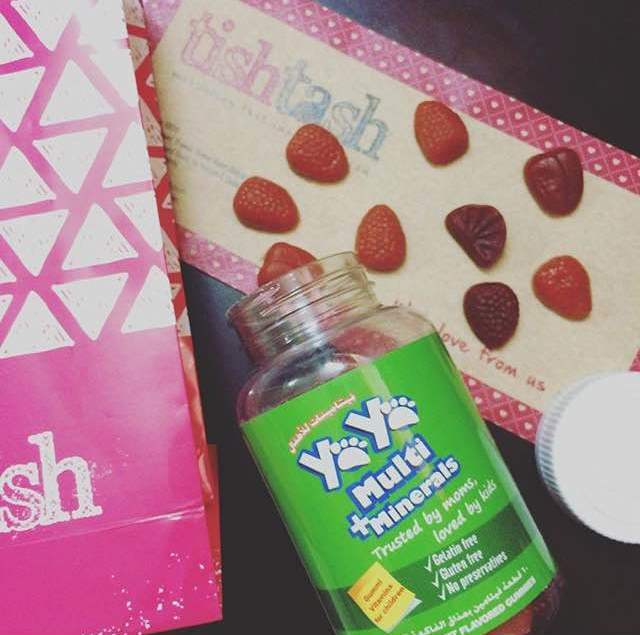 A couple of weeks ago, I received a sample of Yaya Vitamins + Minerals and I wanted to see if the kids will like it. I ask Prince to give me his opinion about it while I shoot using just my iPhone camera. We both agreed and here's what he has to say about Yaya Vitamins + Minerals. He finds it sour at first but eventually, he likes it and takes 2 chewable every day to eat. Yaya Vitamins + Minerals market price is AED 59 with 60 vitamins good for 1 month supply. Available at leading pharmacies across the UAE. 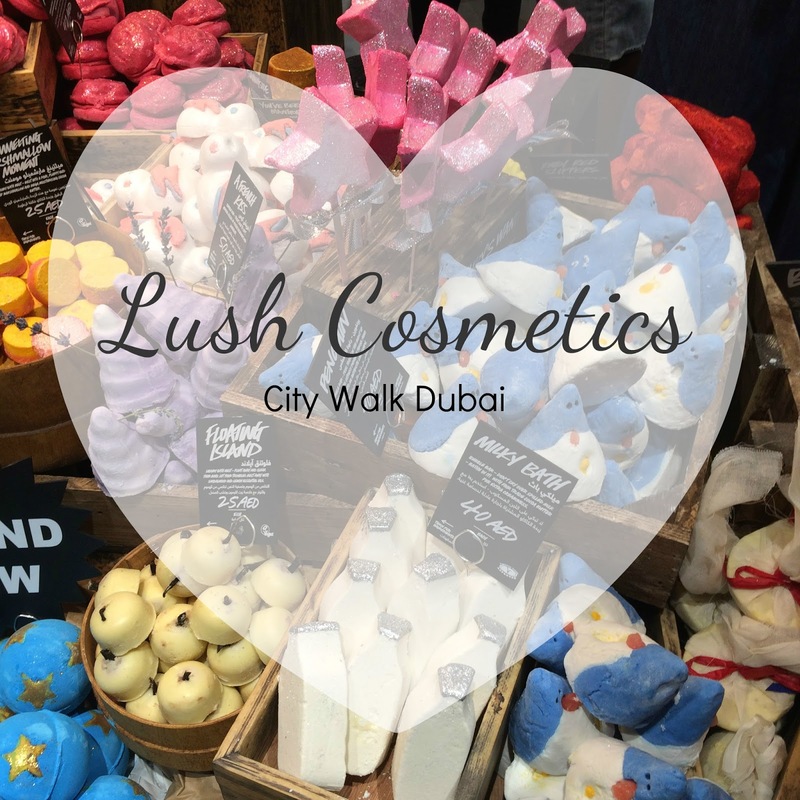 Lush Fresh Handmade Cosmetics flagship store at City Walk Dubai opens its doors last week where I had the chance to have a sneak peek of the winter collection and the first ever Hair Lab and Gorilla Perfume Lounge the day before they opened it to the public. I love how colorful it was inside the store. I was like seeing a house in Hansel and Gretel story sans the old woman witch, full of candies luring me to enter. However inedible and instead of popping them into your mouth, you smooth it to yourself or dive into it in the bathtub. These bath bombs are so cool and come in a rainbow of colors. They all look so pretty and I want them all. It is the same day that they launched their winter collection so I bought a couple of their best sellers - Father Christmas and Northern Lights for us to try. To start with the bubble bars, I opted for the milky bath. My main concern was my eldest sensitive skin but I the staff assured me that all of their products are plant based. The milk bath is the one that looks like a milk bottle. It is made with moisturizing cocoa butter, soy milk and olive oil for supremely soft skin, orange oil to soothe the mind and let all troubles float away. I love the sound of that. We are still to try these bath bombs and bubble bars, follow my IG stories for those soon. All products were half the price on that day so I fill my wooden basket of the ones I wanted to try. 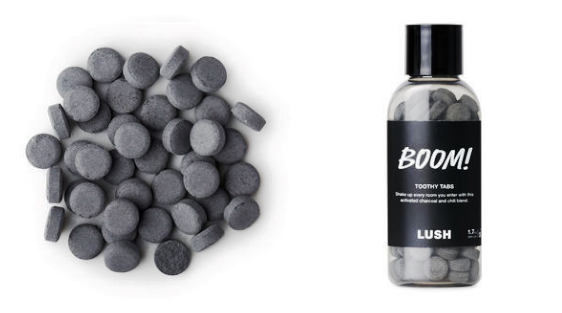 I also bought Boom toothy tabs. It leaves my teeth super clean and whiter, my mouth so fresh. And for my daughter's eczema-prone skin, I got her the Dream Cream. It is highly recommended for eczema sufferers. I even tried it to myself and wow, it makes wonder to my semi-dry skin. Halloween collection is also in store. I went there straight from work but the event was from 2 pm to 7:30 pm. Reached there at around 7 pm so there was no chance to try the hair treatments at the Hair Lab. The other guests, of course, were treated to a complimentary hair treatment and got the chance to immerse and indulge the senses at the Gorilla Perfume Lounge. If you shop early for Christmas pressies, here's a very good idea and wrapping is not required. Look at those nifty gift boxes. 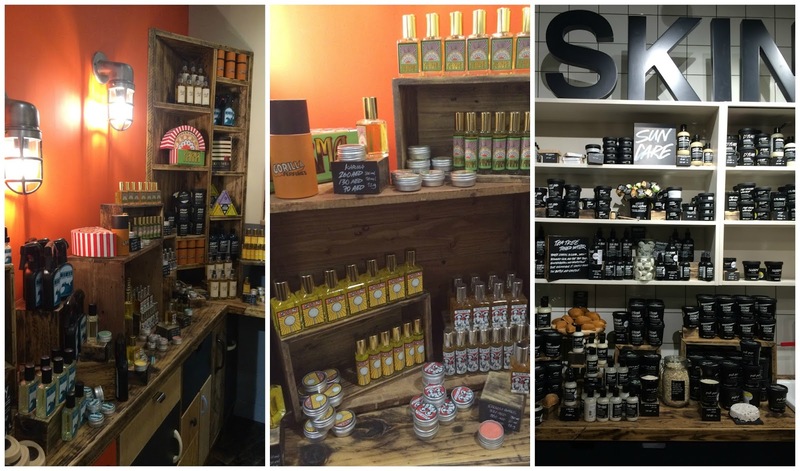 I left the Lush Cosmetics flagship store in high spirit, even made few new friends while sneak peeking. Thank you Lush Cosmetics for the gift, I am surely going to enjoy all that's inside. It would be shellfish of me if you won't see this! Max's restaurant is once again stepping up their game, adding irresistible seafood dishes to their menu along with the classics. These ones are our favorites from childhood cooked by our moms or dads, now made gourmet by Max's talented chefs to suit the highly competitive dining scene in Dubai. We know for a fact that Filipino food has always been conceived as exotic which is a big, big misconception. Just like our neighboring Asian country's food, many of our dishes are fresh, carefully prepared, delicious and nutritious regardless of what province it originated. It's high time for Filipino food to be recognized as one of the best in the world! 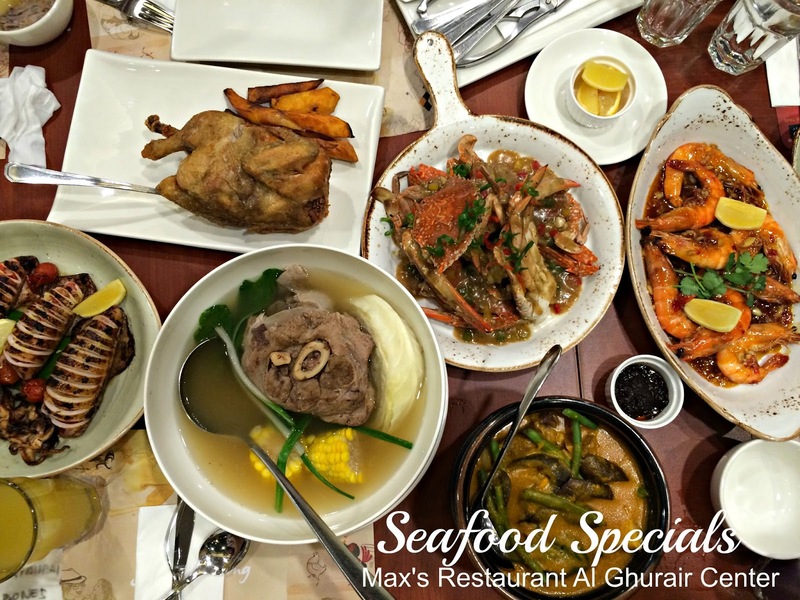 If you want to try good Filipino food in Dubai, don't forget to include Max's Restaurant on your list. Starting off with their Sugpo (Tiger Prawns) wok-fried in sweet chili, garlic and oyster sauce. It is definitely a must try. Succulent, juicy and the sauce is to die for but be ready, your hands will get sticky and saucy but finger licking good. If you aren't comfortable using your hands peeling the prawns, they have another dish with the prawns shelled and deveined, ask for prawn in aligue sauce which is just as good. The Inihaw na Pusit (Grilled Squid) stuffed with chopped prawn, onions, the tomato was cooked perfectly, not rubbery nor undercooked, served with spicy soy and lemon dipping sauce. I got to learn how to do those perfect slits on the squid, it just makes this dish look more appetizing. Plating squid can be tricky. It was delicious and I can't keep myself from reaching out for a second and third serving. Lapu-Lapu (Deep-Fried Hammour) the nights light and healthy option. The fish was moist and flaky however the batter was no longer crunchy when it was served. The sauce consistency was good, it is sweet and sour made fresh by the mango, pineapple, and capsicum. The Tahong (Sauteed Mussels) is a revelation to me. I never knew I can eat and like mussels this much. I don't really eat mussels a lot but I tried this tahong dish and surprisingly, I loved it. I love the broth too, it has that familiar mild spicy ginger taste that's so comforting. That's quite a seafood overload! Have you tried Max's Seafood Specials? The Beef shank is simmered until fork tender, cabbage, bok choy, corn, spring onions added and kept to boil to render that wonderful broth. A humble and yet healthy dish made outrageously delicious by Max's. Dessert Sampler (buko pandan, leche flan, ube pannacotta and the brownie topped with vanilla ice cream). Such a wonderful way to end our dinner! This one is always a winner for me with the ube pannacotta as my favorite. Of course, nothing beats sharing delicious food with special friends and we are growing. Thanks to Ion Gonzaga for organizing this blogger meet up and to Sir Art Los Banos for inviting us. It was lovely meeting Ms. Rachel Salinel of The Filipino Channel (fangirling here :)). Of course to Max's Restaurant, sarap nyo talaga kapiling!